• Each year, Norton Children's Hospital provides care for more than 180,000 children in our community. Chances are, you know at least one of those children. 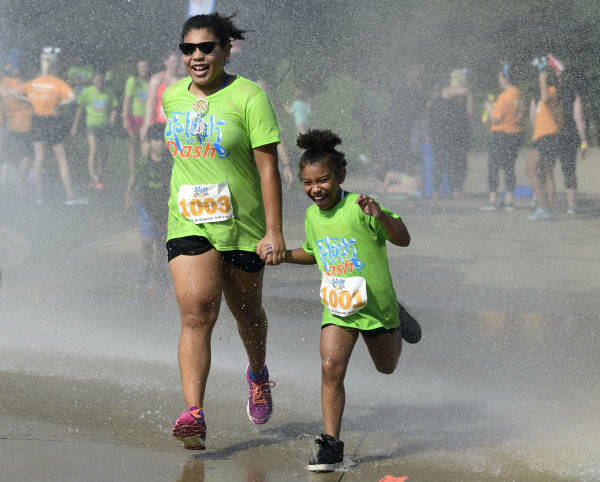 • Splash 'n' Dash Walk/Run gives you the opportunity to make a difference in the lives of children who need it most. 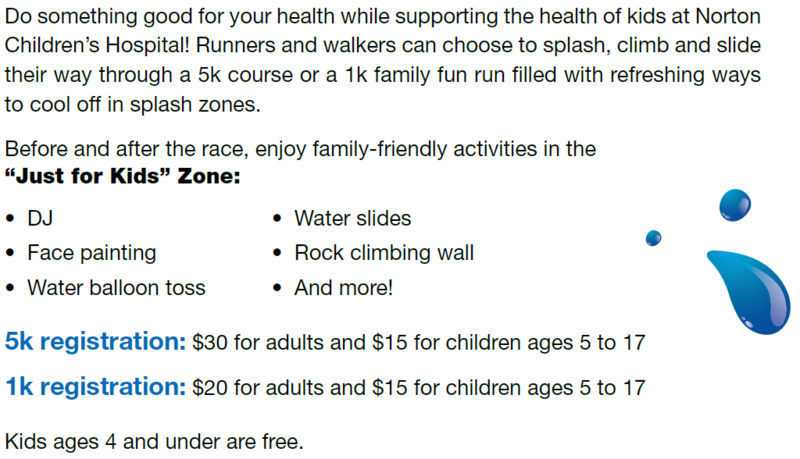 • While there are many walk/run's throughout the year, there is only one benefiting Norton Children's Hospital. And we think you'll have a great time splashing your way through our bubbles and puddles galore! Your support makes a difference! Watch last year's recap video.